We’re in the thick of cuffing season (you know, when the weather turns cold and suddenly you’re pining for someone to cuddle up to) and the only snuggle buddy you have is still your merino wool blanket. But if you’re in the market for something more—like, say, someone who could convince you to abandon your hygge haven for a boxing class—what’s the best way to find it? Grab your phone (obviously—it’s almost 2018) and download MeetMindful, the app that’s seriously changing the dating game with its innovative new approach to healthy relationships. MeetMindful has the stats to back up its method, with 75 percent of users who change their Facebook status to “taken” after using the app reporting that they’re more satisfied with their new relationship than with previous ones, according to Baglan. The high success rate (and rave reviews from users) stem from a thoughtful online dating experience in which very detailed profiles identify interests like fitness, spirituality, dietary preferences, and more. (So if you’re looking for a fellow vegan who’d be down to join your Sunday morning yoga sesh, you totally can). Keep reading to find out exactly how they make the magic happen (and score a free trial). Unlike other dating apps, in which pretty much the only thing everyone has in common is a vague interest in romantic connection, everyone on MeetMindful joined because they are genuinely interested in living their happiest, healthiest life—and finding someone to share it with. In other words, you might be more likely to connect with someone who treats you the way you deserve to be treated. 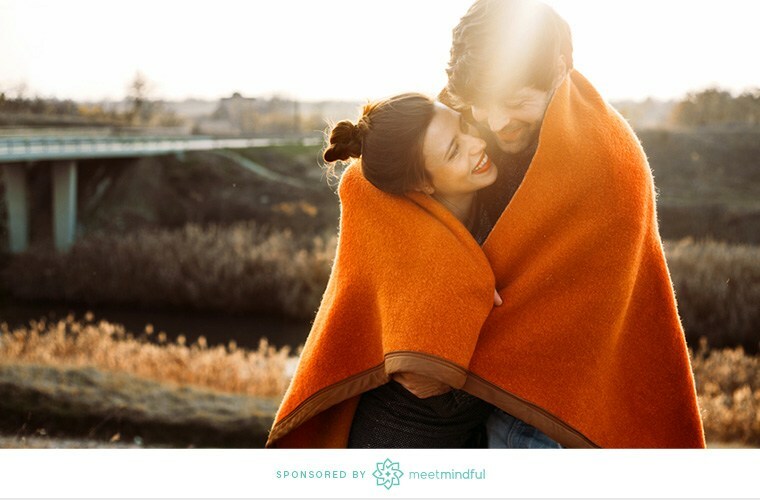 “We consistently hear that MeetMindful has higher quality members who act with a level of integrity and authenticity seldom found on other dating apps,” Baglan notes. The interface invites you to browse and “like” people who seem interesting, without having to eliminate anyone who didn’t stand out that day. And you don’t have to wait for someone to like you back to send them a message. If you want to tell someone you think they seem cool, you totally can (because you’re a woman in control of her own dating life, duh). MeetMindful gets around that with a questionnaire to fill out your passions, what’s currently going on in your life (the good, bad, and most interesting), and how you incorporate mindfulness into your day-to-day, so you end up with a fuller picture of the person—and not just a random movie quote. Start hitting like. Ready to give it a try? Click here to get a free trial when you download the app.